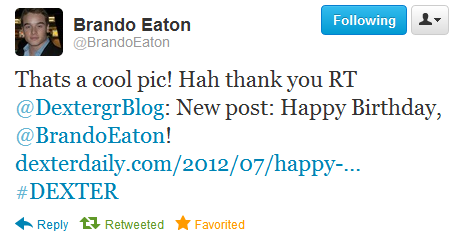 Today, Brando Eaton turns 26! He was born on July 17, 1986 in Los Angeles. In Season 4 he played the role of Trinity's son, Jonah Mitchell. Recently he returned to the Showtime hit series for episode 6.07 "Nebraska". Don't be surprised if you see him back to Dexter in the future! Happy B-day Brando! 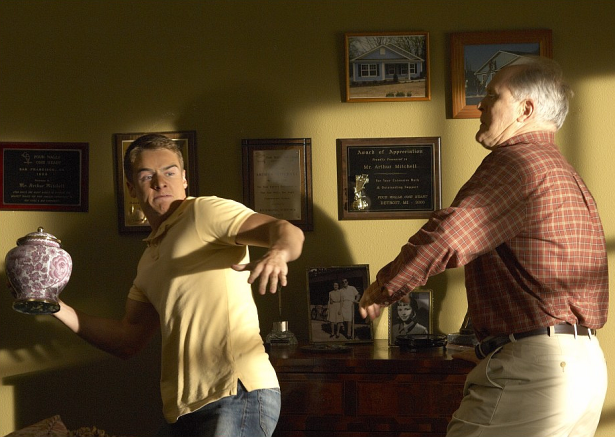 I would be surprised if he returned to Dexter, as he was the worst actor on the show so far, in my opinion.